The Omaha NARI Contractor Excellence Awards (CEAs) showcase the best projects of the area’s top talent in the remodeling industry. The Contractor Excellence Awards (CEAs) showcase the best projects of the area’s top talent in the remodeling industry. What is a Contractor Excellence Award? The Omaha NARI CEA awards are granted to remodeling contractors based on how their submitted project enhanced the existing structure functionally and aesthetically, used superior craftsmanship and innovative materials or construction methods, overcame difficult obstacles, and delivered a project that met the client’s expressed objectives. 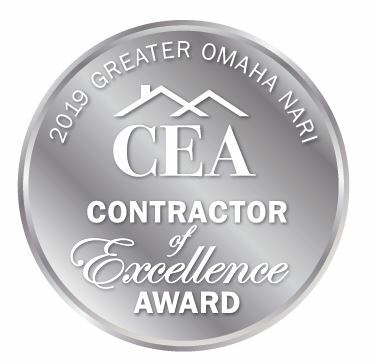 NARI Greater Omaha members are invited to compete for the prestigious Omaha NARI Contractor Excellence Awards, in recognition of their achievements for remodeling projects finished between August 1st, 2017 and August 1st, 2019. Each year NARI Greater Omaha may have first-time entrants and seasoned participants that go home with an award. No matter what your Omaha NARI Contractor Excellence Award experience level, follow these easy steps to be sure your entry is given full consideration by judges and your work receives the recognition it deserves. Please review these pages carefully. Companies – from one-person shops to the largest remodeling firms – report that winning this award is a major factor in enhancing their image within the industry and with prospective customers, and is a major morale booster for their employees. The numerous marketing opportunities available to Omaha NARI Contractor Excellence Award winners help set your business apart from other remodeling companies, and NARI helps by providing tools and resources to make the most of this distinguished honor. Winning projects will be promoted thru local efforts including but not limited to social media platforms, and print publications, and email distribution.